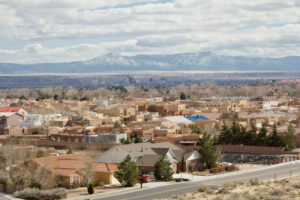 Albuquerque is the largest city in the State of New Mexico with a population of over 545,000 residents. Albuquerque is famous for its rich historical and cultural heritage, sunny weather, and unique local cuisine. Albuquerque isn’t just a great place to visit. It can be a good choice for relocation too. In 2006 it was rated as the best city in the U.S. for business and careers by Forbes. Whatever the reason you are heading to Albuquerque, it’s not a problem to also move your car there. If you are looking to ship your car from Charlotte, NC to Albuquerque, NM, it is going to be easy with us. Need to ship a car from Charlotte, NC to Albuquerque, NM? The distance between Charlotte and Albuquerque is over 1,600 miles, and it would take you over 24 hours behind the wheel to travel this distance. That would be not only stressful and tiring but also expensive. You would have to pay for gas and probably stay in a motel once or twice. But the good thing is that you don’t have to drive if you use Albuquerque car shipping. Contact Charlotte Car Transport and let us ship your car from Charlotte, NC to Albuquerque, NM. We offer convenient door-to-door car transport for an affordable price that will allow you to save a lot on moving your car. Fill out a simple form on our website and we will reach you back with a free quote. You can also just call our office for a quote and get answers to all your questions about the shipping process.